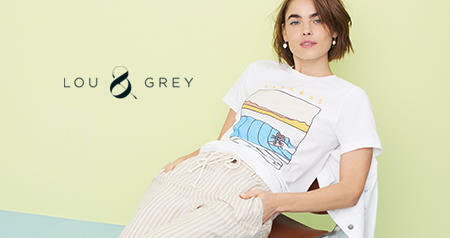 Lou & Grey is a thoughtfully designed and edited collection of easygoing, texture-rich styles for every day—easy dresses, cozy rompers, breezy shorts and wear anywhere shoes. Our store space is where beautifully made clothing seamlessly fits with a selection of apothecary, accessories & more handcrafted by independent US makers. Whether it’s our linen favorites or chambray must-haves, we have the pieces that work for any situation you’re in. Lou & Grey is more than a brand, it’s a lifestyle. Below, find your closest Lou & Grey store, along with the address, directions and hours of operation.